Mark W. Bina, Chicago, IL, Commercial Litigation and Healthcare Attorney. Mark Bina is a Partner in the Firm's Litigation, Dispute Resolution, and Health Law Practice Groups. He is the Co-Chair of the Health Care Litigation team and represents a broad range of clients in dispute resolution, regulatory, licensing, and compliance matters. Mark’s practice is diverse. His litigation practice encompasses a variety of matters affecting businesses and providers in state and federal trial and appellate courts across the country. Representative cases include prosecuting and defending claims of tortious interference with contract, negligence, fraud, breach of contract, constitutional and civil rights claims, and emergency injunctive relief. Mark also advises franchisors, including automotive OEMs, in dealership and related franchise disputes. He also assists clients in responding to subpoenas, advises on electronic discovery matters, and counsels on risk management issues. His litigation experience also includes working with the Firm’s Bankruptcy and Creditor’s Rights attorneys to protect client interests in U.S. Bankruptcy Court. Mark is a member of the Trial Bar for the U.S. District Court for the Northern District of Illinois and has been admitted pro hac vice in courts around the country. Mark also advises health care clients in navigating an array of regulatory and compliance issues. His experience includes managing internal and governmental investigations by state and federal governments, subpoena responses, disciplinary proceedings, appeals of agency decisions, professional licensing matters, fraud and abuse issues, False Claims Act and qui tam claims, and risk mitigation. He also provides M&A regulatory due diligence advice to clients in transactional matters. Mark has represented clients before numerous courts, tribunals, and State and federal agencies across the country, including Boards of Pharmacy, the FDA, DEA, CMS, State Attorneys General Offices, Medicaid Fraud Control Units (MFCU), and accreditation bodies such as the National Association of Boards of Pharmacy (NABP). Representative health care clients include pharmacies, hospitals, wholesale distributors, pharmacy benefit managers (PBMs), drug and device manufacturers, re-packagers, long-term care facilities, and many other individual and industry providers. Prior to joining Quarles & Brady LLP, he served as an Assistant Attorney General with the Illinois Attorney General’s Office, where he represented the State of Illinois and its agencies before state, federal, and administrative courts in a variety of civil and criminal actions. Additionally, Mark served as the Executive Director for the Indiana Board of Pharmacy, where he oversaw the day-to-day operations of the Board’s compliance, licensing, discipline of pharmacists, pharmacies, and other providers. He also previously worked in the Governmental Affairs division of a leading pharmaceutical manufacturer and with the Illinois Department of Financial and Professional Regulation (IDFPR) Prosecutions Bureau in Chicago. In 2012, the Illinois Supreme Court’s Attorney Registration and Disciplinary Commission (ARDC) appointed Mark to serve as a member of the Hearing Board, which hears contested cases and makes recommendations for the discipline of lawyers charged with misconduct. He also sits on the ARDC's Oversight Committee. Mark is also committed to pro bono service. 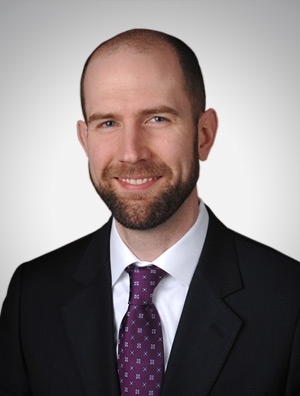 He maintains an active pro bono practice and presently serves as the Firm’s Pro Bono Coordinator for the Chicago office. Counsel of record in trial court and Illinois Appellate Court case involving the federal Patient Safety and Quality Improvement Act of 2005 (PSQIA); successfully dismissed the state’s petition to enforce subpoenas seeking privileged patient safety work product transmitted to component Patient Safety Organization (PSO), and affirmed on appeal. Case reported at Illinois Department of Financial and Professional Regulation v. Walgreen Co., 2012 IL App (2d) 110452, 970 N.E.2d 552 (Ill. App. Ct. 2d Dist. 2012). Counsel to pharmacies, pharmacists, wholesale distributors, and other providers in disciplinary and regulatory matters pending before Boards of Pharmacy, the U.S. Drug Enforcement Administration (DEA), and other governmental agencies across the country. Represented hospital corporation and other providers in federal Medicare and Medicaid fraud investigation; led effort to collect and review documents and electronic data in response to criminal subpoenas from U.S. Department of Justice; retained by debtor and appointed as special litigation, regulatory, and transactional counsel in Bankruptcy Court to assist in asset sale and regulatory matters involving the Centers for Medicare and Medicaid Services (CMS) and Illinois Department of Public Health. Supervised the collection and review of millions of documents in a federal OIG administrative subpoena in a Medicare fraud qui tam investigation; interfaced with Assistant U.S. Attorney to reduce scope of subpoena, managed production issues, and reduced risk to client after Government declined to intervene and Relator voluntarily dismissed fraud claims with prejudice. Successfully obtained temporary restraining order (TRO) against physician group client’s former employee in Circuit Court of Cook County action to enforce covenant not-to-compete and non-solicitation clause in employment agreement. Successfully defeated pharmacy’s emergency motion for TRO filed against Pharmacy Benefits Manager (PBM) client in the Circuit Court of Cook County in a suit involving termination of participation in PBM network; plaintiff eventually took voluntary dismissal of complaint based on arguments raised in motion to dismiss. Successfully obtained TRO in federal court on behalf of pharmacy provider association and certain providers to temporarily halt the effective date of a state regulation decreasing Medicaid reimbursement rates. Successfully defeated pharmacy’s emergency motion for TRO and preliminary injunction filed in federal court against PBM faced with anti-trust and breach of contract claims. Prosecuted a $10 million breach of contract and fraudulent transfer case in the Circuit Court of Cook County and advised client as to fraudulent transfer issues after defendants filed bankruptcy. Lead counsel in evidentiary hearings and appeals to U.S. Department of Health and Human Services Departmental Appeals Board contesting imposition of civil monetary penalties and other sanctions for long-term care facility clients. Counsel to various providers on fraud and abuse issues, anti-kickback regulations, HIPAA, Medicare and Medicaid change of ownership regulations, exclusion lists, and other regulatory and compliance matters. Lead trial counsel in appointed pro bono litigation in the U.S. District Court for the Northern District of Illinois for a pre-trial detainee in a Section 1983 deliberate indifference claim against a county jail. Successfully defeated substantial portion of county’s motion for summary judgment after extensive discovery; ultimately negotiated a favorable settlement for client prior to jury trial. Ebrahime v. Dart, et al., 09 C 1534 (N.D. Ill. 2013).